The club has chosen the study proposal of Japanese architecture, Nikken Sekkei, in collaboration with Joan Pascual and Ramon Ausió Arquitectes, to design and implement reform Camp Nou. After several weeks studying the eight finalists, the jury Espai Barça has finally opted for the Japanese architectural proposal, responsible for several works in Japan as the Niigata Stadium Niigata, Saitama Super Arena in Saitama or Wakayama Big Whale Wakayama . Nikken Sekkei’s origins date back to the early twentieth century and currently has over 2,500 employees and projects in 40 countries. 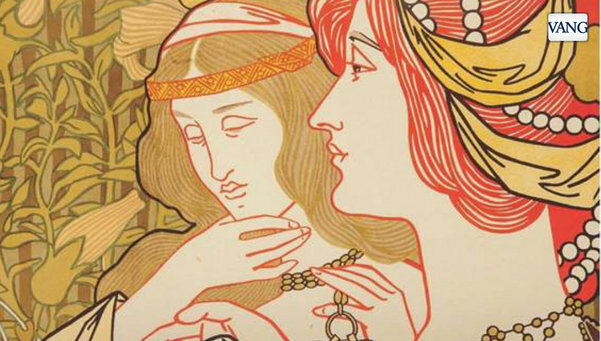 Barcelona La Pedrera show a “new story” about the applied and decorative arts of Modernism in the exhibition Modernism: Art, tallers, INDUSTRIES from this Thursday until February 7th, announced Wednesday the director of the Foundation Catalunya – La Pedrera, Marta Lacambra. Along with the director of the Culture of the Fundació Catalunya-La Pedrera, Marga Viza, and curator and professor of art history at the University of Barcelona (UB) Mireia Freixa, it stressed that it is the largest solo exhibition dedicated to these arts in the last 50 years. The selection draws a tour of the building of the last century and relive a time of momentous changes in the field of architecture and design with the recovery of “unknown aspects of recent history” and updating artistic trades, said Freixa . The exhibition is the result of research in the university team with a montage Commissioner made an “extraordinary sensitivity,” which has a special lighting for each piece. With this exhibition, “Casa Mila regains its domestic value”, and a large window-usually hidden behind a curtain or ceiling, doors, columns, railings and floors of the building by Antoni Gaudí is recovered, stressed the Commissioner . One of the most spectacular pieces is a large stained glass window from the Museum of Cerdanyola del Valles, and one of the most delicate is a screen made of stained glass from broken glass modernist forms takes on a technique that only remained in Catalunya. It is a “liquid exposure” because the plot is given by the techniques used, stained glass, wrought iron and wood, flooring, textiles and jewelry, among others. The exhibition brings together more than one hundred objects and numerous documents and photographs from the period from 50 public and private collections such as the Museu Nacional d’Art de Catalunya (MNAC), the Museum of Design in Barcelona, ​​the Documentation Centre the Terrassa Textile Museum and the Library of Catalonia. A new feature of the exhibition is precisely the focus on the creative process of decorative objects, from conception to consumption. Freixa has concluded that each piece is beautiful and unique, and noted that the Catalan Modernism is so aesthetic that hides the “glitz” of a bourgeois class through a style that then came to other layers of society. Swab 2015 International Fair of Contemporary Art in Barcelona, ​​reinvents itself and grows another edition. From 1st to 4th October, a total of 65 galleries (in 2014 participated in 2013 were 59 and 52) of a total of 22 countries around the world exhibit the work of more than one hundred artists emerging in the Italian Pavilion at Fira de Barcelona. Swab was born in 2006 as an initiative of the private collection of contemporary art Diezy7 Space Barcelona. Since then, with the support of important national and international galleries. In the first edition held in 2007 at the Maritime Museum was attended by 42 galleries from 13 countries and was attended by 6,000 people. The year 2010 was one of consolidation, with 13,000 visitors the Italian Pavilion at the current location. The excellent reception from the public, as well as interest in new artistic approaches have generated the creation of new programs. Swab Seed, curated by David Armengol, gives voice to a series of proposals that have opened separate step outside the institutions in cities such as Barcelona, ​​Madrid and Berlin. Juan Canela Swab Performance presents a series of specific actions and interventions related to the body, time, space and action. Swab Forum will feature collaboration with De Appel Arts Centre (Amsterdam). Swab Thinks Continue this space for reflection on emerging art galleries in hand, renowned artists and curators. This space presented during the 2nd, 3rd and 4th of October a series of lectures, debates and panel discussions that will dialogue artists, curators, collectors and critics think together cultural transformations of the contemporary world and the place in him artistic practice. SOLO Swab, curated by Direlia Lazo and Carolina Ariza is an area meets individual presentations of Latin American artists, with emphasis on creative practices procedural and documentary confronted with the official story. Swab ‘Zh¿ngguó: New photography Chinese’ demonstrates that contemporary Chinese art is not a mere copy of the West. Swab Drawing Applications, this program integrates design, architecture journalism, psychiatry, calligraphy botany. Swab 2015 General Program also hosts a significant number of galleries and consolidated with much prestige in the global market of contemporary art. Likewise, gives way to a series of new galleries creation and gives them the opportunity to participate for the first time in an international art fair. To mark the eighth edition of Swab Barcelona International Fair of Contemporary Art in collaboration with the organization and enabled TMB two historic buses will shuttle from the center of Barcelona fen a route to the Italian Pavilion where Swab Barcelona will be held.